When you graduate, its a cause for celebration and a major achievement in a persons life to graduate from anything, specifically high school or college. 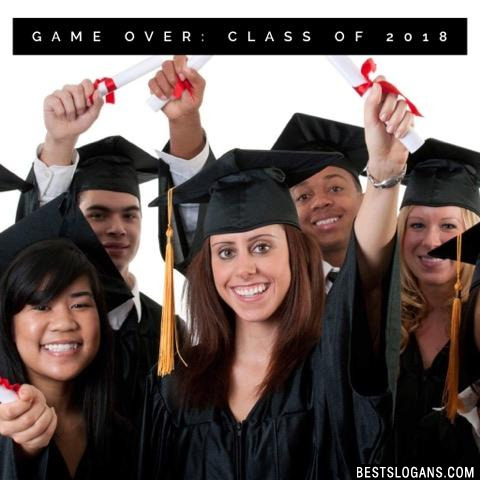 Here are some facts related to graduating high school. High school graduates are more likely to be employed, make higher taxable income, and aid in job generation. You've proven how much strength and endurance you really have. Take time and reflect on what you've had to endure and how much you've learned through out the years. Go way back to when you first started school, for the purpose of this exercise lets go all the way back to first grade. Can you remember the excitement you had when learned the alphabet, cursive writing or how to speak Spanish? As these little things are happening over the years they might not seem as significant but really you've come a long way! Even in just the last few years you've had so much on your brain, smartie. 2 On a Scale of One to Ten...We're an Eighteen! Proud to be the best, bound to be great. 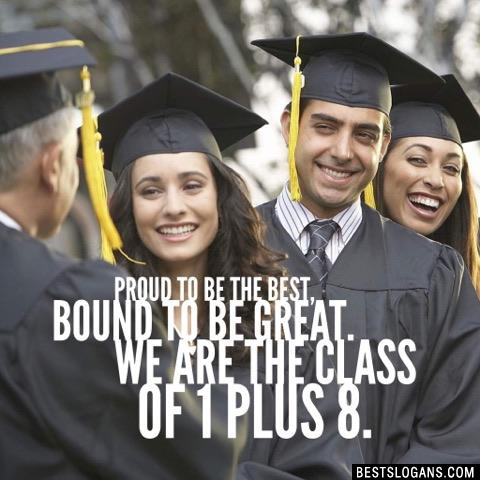 We are the class of 1 plus 8. 7 Kiss TH18 class goodbye! 11 Clap your hands, stomp your feet, Class of 2018 can't be beat. 12 Study hard, scream out loud, we're the class of 2018 that makes you proud. 13 Every other class thinks they're cool but 2018 is who rules the school. 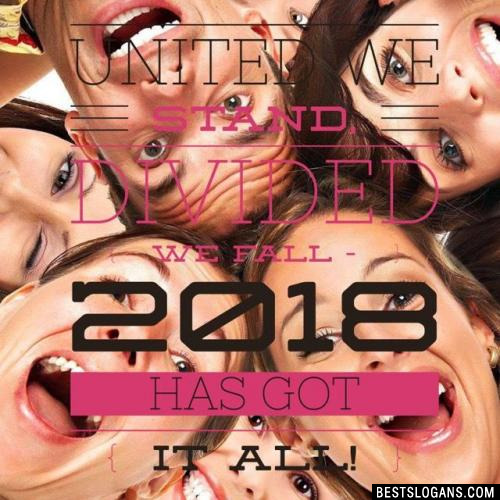 United we stand, divided we fall - 2018 has got it all! 15 The boys are hot, the girls are fine. We're the Class of 9+9!! 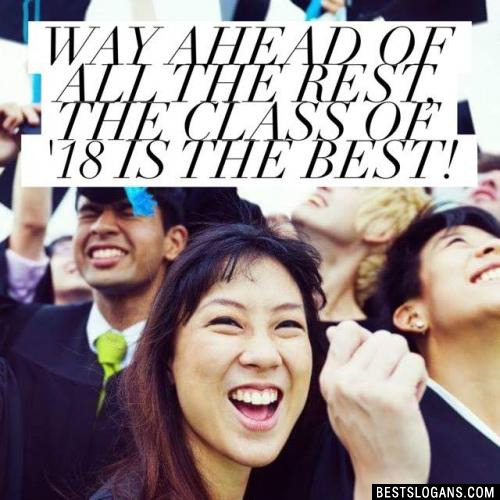 16 Best you've ever seen, Class of 2018. 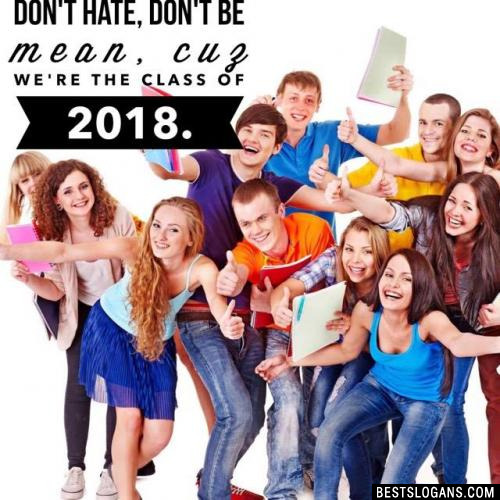 Don't hate, don't be mean, cuz we're the class of 2018. 18 Nothing will come between this class of 2018. 19 Move on up! Make your mark. 2018 has got the spark! Way ahead of all the rest, the class of '18 is the best! 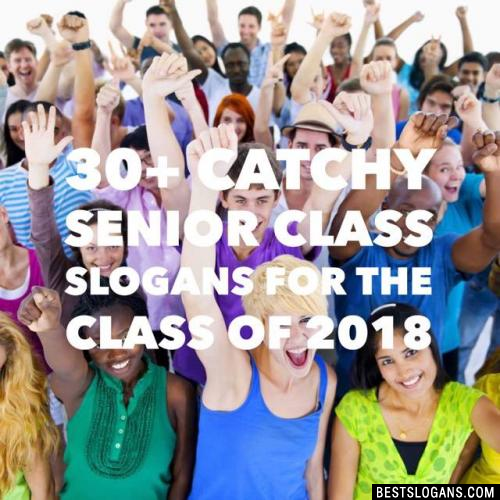 Can you think of a good Senior Class Of 2018 Slogans For Shirts we're missing? Or come up with a clever one of your own. Please share below.